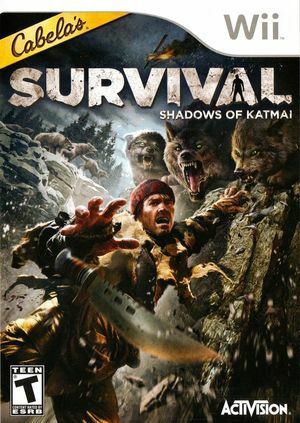 Cabela's Survival: Shadows of Katmai puts you face to face with the unforgiving forces of nature! A strikingly deep storyline is riddled with harrowing challenges of extreme survival. Test your instinct while scavenging for gear and hunting for your food. Be prepared to face non-stop challenges and the ride of a lifetime through the daunting Alaskan wilderness in an effort to complete a mysterious mission. The graph below charts the compatibility with Cabela's Survival: Shadows of Katmai since Dolphin's 2.0 release, listing revisions only where a compatibility change occurred.